With fans eagerly awaiting the upcoming finale of the Hobbit films in a few short weeks, many will cherish the opportunity to now revisit “The Desolation of Smaug,” the second film in the trilogy, on Blu-Ray Disc, particularly now that Warner Home Video has prepared an Extended Cut of the film, which adds 25 minutes of extra footage into the film—and it is footage you do want to see. 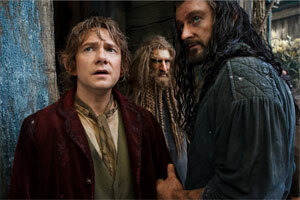 As “The Hobbit: An Unexpected Journey” ended, Bilbo Baggins (Martin Freeman), Gandalf (Ian McKellan) and the dwarves surrounding Thorin Oakenshield (Richard Armitage) had just escaped the clutches of the Goblin King and the immediate sneak attack by the White Orc and his pack, proving that Bilbo brings more value to the band of adventurers than anyone had previously expected. As they have their eyes firmly set on the Lonely Mountain to reclaim the Dwarven kingdom, lost to the fierce dragon Smaug, the adventurers press on, but find that not everyone supports their cause. Naturally, everyone fears the wrath of the dragon if the attempt to defeat the mighty beast and drive it from Erebor may fail. After all what are the odds of a few ragged and homeless dwarves, an old man and a hobbit defeating the fire-breathing dragon that has claimed the lands for three generations? 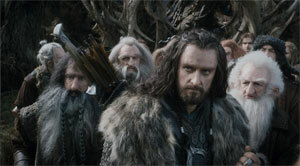 As soon as the film starts, Blibo and the dwarves find themselves in danger. A group of orcs is giving them chase and to make matters worse, another creature in the shape of a giant bear is on their heels as well. And from there, it just keeps going. From one encounter to the next, the group is chased, held back, imprisoned or disregarded, only to be chased again, until finally they reach the Lonely Mountain. But getting inside the locked Dwarven kingdom is a challenge in its own right, even with the foretellings of a prophesy. But is the dragon still alive? Smaug has not been seen for over 60 years. To explore the cast underground kingdom, it is decided that Bilbo, the burglar, will investigate first and try to retrieve the Arkenstone, a sign that will allow Thorin to rally all the dwarves in Middle-Earth behind him. As Bilbo begins to explore the vast caves everything first appears quiet, as if the dragon was indeed gone or dead, but soon enough Bilbo has to make use of all of his cunning and wits as Smaug (Benedict Cumberbatch) awakens and challenges the intruders. Determined to protect his hoard and to incinerate all those who tried to steal from him, Smaug decides it is also time to teach the people that Erebor and all of its riches within are his, and his alone. Unlike many other viewers, I never had a problem with “The Hobbit: An Unexpected Journey.” I never thought it was too slow or too long. I enjoy staying in Middle-Earth with Peter Jackson every time, and I just can’t seem to get enough of his living, breathing world and the creatures within. The same is true for “The Desolation of Smaug.” If anything, in its original version, the film almost seemed too short for me. The story is heating up and things come to a head and you just don’t notice how time slips by until you are confronted with the closing credits and you go “What? Already?” To me that has always been one of the hallmarks of great movies; to make you forget time and place. Even with the 25 minutes of additional footage striped into the film in the Extended Cut, the film never feels long. The new bits and scenes are interesting and more than mere meat. Some of them add more detail to scenes, others introduce more background information and thus context, which had been lost in the previous versions. The entire involvement of the Witchking of Angmar, for example, is now explained in a lot more detail, allowing you to connect the dots that were always there, but always went unnoticed. As with the previous film, Jackson took some artistic liberties with the book upon which the film is based on. Not only does he flesh out certain characters more than in the book, he also introduces entirely new characters and their story lines. Once again, some of this materials is lifted from “The Silmarillion,” a collection of stories Tolkien wrote between “The Hobbit” and “The Lord of the Rings,” as well as various historic references in all Tolkien’s texts, but for some part it is entirely invented, for the sake to make a better movie. 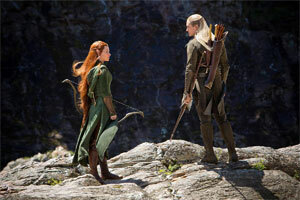 I think it is no secret at this point that Legolas (Orlando Bloom) is making an appearance in the film, which was never part of the Hobbit book. Still, it is a befitting part, alongside Tauriel (Evangeline Lilly) another character that is not part of the original; Hobbit lore. While purists may decry these liberties and changes, to me the matter is very simple. Why not? It helps create a richer world—which was Tolkien’s purpose as well with all his cross-references and additional texts—and it allows us to stay in Middle-Earth just a little longer still. All the material Jackson has added feels organic and meshes nicely with the story itself, making it entirely transparent to those who are not—or no longer—entirely familiar with the book text. Performances are awesome and as with every new film in the series, Jackson and his fellows at Weta Workshop seem to up themselves once again. Up to this point, the dragon from “Dragonslayer” has always been my favorite dragon on the big screen, hands down. He was mean, vicious, ferocious and beautifully majestic. As of now, Smaug has taken his place. Never have I seen a more amazing visualization of a dragon on the screen. Voiced by Benedict Cumberbatch, Smaug has character aplenty and his nastiness is evident from the first moment, but Smaug, despite being a computer generated character entirely, also has weight and mass. The way he interacts with his surroundings, the way he moves, the way his scales shimmer, the way his skin folds—it is absolutely stunning. It is not that you can only see him. You can feel him, almost smell him, I would say. 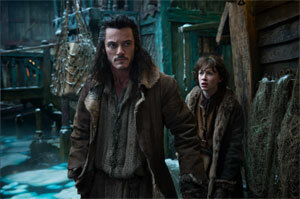 Why Weta did not receive an Academy Award for their work here is beyond comprehension, of course, but I suppose the Academy is once again playing the same game they did with “The Lord of the Rings,” withholding awards until the third film is released, regardless of the fact that Peter Jackson and his team are outdoing other filmmakers year after year—a fact that should, in fact, be rewarded with an award of its own, in my opinion. As expected, Warner Home Video is presenting the film in a pristine 1080p high definition transfer on this disc, leaving absolutely nothing to be desired. Awash in color and detail, the high definition transfer is incredibly rich, turning the film yet again into a feast for the eyes. The level of detail is staggering at times, particularly when combined with the beautiful lighting and cinematography. Deep blacks give the image solid depth, making sure the world of the Hobbit is rich and dimensional. The audio on this disc is featured as a DTS 7.1 HD Master Audio track that is equally impressive. Constant and aggressive use of the surround channels is only one part of the recipe here, but so is the wide sound field, and the extreme bass extension that will fill your living room with rumbling shockwaves. Dialogues are perfectly integrated and always understandable, while the film’s music adds nicely to the overall presentation, completing the experience as a whole. A commentary Track by Peter Jackson and Philippa Boyens is included on this release, following the same formula as the previous film. As always, the commentary is incredibly detailed and dishes out insights and information about the making of the film, as well as Tolkien lore without ever slowing down. For fans of the film, this shot by shot commentary is another treat that you just don’t want to miss. 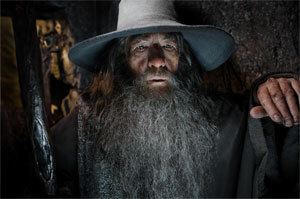 Like the previous release of “Desolation of Smaug,” this extended edition once again contains the second part of “New Zealand—Home of Middle-Earth,” a multi-part featurette that was started on “An Unexpected Journey.” Once again it takes you on a journey visiting the breathtaking locations where the film was shot, giving you a close-up look at the grandeur of New Zealand. Found on two separate Blu-Ray discs, the release also contains “The Appendices” Parts IX and X. You should be familiar with these incredible documentaries and featurettes that comprise “The Appendices” because, as you can see by their numbering, they are a tradition harkening back to the Lord of the Rings” films and have been running through all related releases like a red thread. Once again, Peter Jackson, the cast and their fellow filmmakers take you through every little step of the making of the movie. Anything you might be interested in is covered here in incredible detail and with often surprisingly candid footage. Nothing is left out, as you get to see the preparation for the movie, the beginning of the shoot, the training, the casting, costumes, characters, the visual effects and locations and so much more. As in previous installments, these Appendices are really the next best thing to actually hanging around on the set and are treasure troves of knowledge and information. “The Hobbit: The Desolation of Smaug” is the perfect continuation of the Hobbit saga and is in many ways more energetic than the first film, with many more players and factions contributing to the evolving plot. 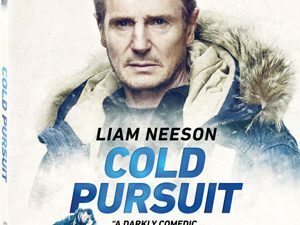 In many ways, the second film in a trilogy is always the hardest, because although without actual setup and without real resolution at the end the filmmaker still have to tell a compelling story that can be viewed and understood by anyone, even those who missed the first part. This makes “The Desolation of Smaug” all the more meritorious because it excels on virtually all fronts, and with the 25 minutes of new footage, it has just become even better. Clearly, this is a release everyone should own and watch.